What Products Need Ingress Protection? What Are the Ingress Protection Ratings? Many products undergo a variety of tests before they reach the market. These tests include product safety testing, electromagnetic compatibility, vibration testing and many others. Products used indoors or outdoors are often tested against “ingress,” that is, the product’s resistance to water, dust and foreign objects. There are several reasons for ingress testing, including safety, functionality and product marketing. Many products require insulation from outside elements in order to function properly. Those outside elements include mist, steam, sprayed water, sand, oil and even fingers, just to name a few. Ingress protection testing helps determine whether a particular product is going to function appropriately when placed in the field. Different products require different levels of testing and different types of testing. Generally, ingress protection is divided into testing for ingress from foreign objects or liquids. With many products, the point where it would be most likely to fail comes at a seam between two parts. Dust and water can find their way inside a product at a seam that joins two parts. Therefore, seams between components are often sealed by a gasket — either a rigid or a flexible gasket. Rigid gaskets provide structural stability and greater protection against ingress than flexible gaskets, and flexible gaskets may provide greater overall functionality for the product. However, flexible gaskets often present a challenge when trying to keep out the elements. Their flexibility can sometimes leave small gaps in a seal where the outside environment can find its way inside the product. In addition, gaskets are sometimes fitted improperly or are screwed or bolted with too little or too much pressure. Either way, a gap in the seam between two components can develop, and it can provide a source for outside elements to work their way into the product. Some ingress testing is conducted under a variety of temperature and pressure settings. This is important because in certain cases, contact with water can change the internal pressure of a component. If that’s important, specific materials such as Gore-Tex can be used to vent pressure differentials. In other cases, a device might need to allow air to flow through it, but it still must block water. For example, consider a microphone that will record a singer singing a tune. It functions by operating on the pressure waves caused by the singer’s voice, but any water that might flow into the microphone could render it useless. Fortunately, water has surface tension, and it can be impeded by a mesh made of either plastic or wire. The mesh traps the water and mostly prevents it from entering the microphone, while the mesh still lets air flow freely. In America and Canada, many products that are governed by engineering standards such as UL or CSA standards must indicate an ingress protection (or IP) rating. 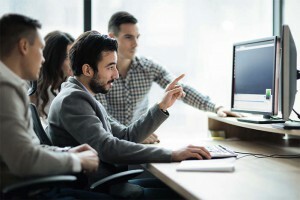 These products include computers, laboratory equipment, certain medical devices, light fixtures as well as products that must remain dust-free or moisture-resistant. Items that are sealed and will likely be placed in hazardous places also need IP ratings. In certain cases, IP testing is voluntary, but sellers often ask manufacturers for an IP rating before placing a product in inventory. For example, a hardware store might demand that all outdoor lights it sells come with an IP rating against ingress from moisture. The hardware store doesn’t want to get a lot of returned merchandise or be liable in case of some accident that occurs because of a failure of the product. In a case like this, it’s incumbent on the manufacturer to meet the seller’s standards. Some other typical products that need ingress protection include components in automotive and military applications. In these cases, water pressure testing is crucial because water can foul the system. Water is often used for cleaning, however, so the product must be resistant to water potentially entering sensitive components. Water spray testing can help ensure gaskets that cover seals in these systems are well-fitted. It’s also important to consider spray testing can involve water dispensed at high-velocity, which presents its own challenges. Sometimes water can work its way past even a well-sealed gasket. Ensuring the gasket includes a shield that blocks water spray can be important in maintaining the serviceability of a gasket in these conditions. Other common items that require ingress protection testing include electrical sockets, cell phones, refrigerators (particularly their electric motors) and wrist watches. Ingress protection ratings are standardized ratings that are used to describe the type and degree of ingress protection that a particular item possesses. The ratings come in two sets: One is for foreign objects and dust (that is, solid bodies), and the other is for liquids (such as water). Each rating starts with “IP,” which stands for ingress protection. The first number after “IP” pertains to the rating against ingress by foreign objects and dust. The second number refers to protection against ingress by liquids. When addressing either one of these two types of contaminants, the remaining type is identified with an X. For example, IP1X pertains to a rating of 1 against ingress by foreign objects and dust, and the X indicates the rating for ingress against liquids is not given. Note that an X does not indicate zero protection. IP0X: This rating indicates the item is not protected at all against ingress from foreign objects. IP1X: This rating stipulates the item is protected against access from the back of a hand and solid foreign objects that are greater than 50 mm (about 2 inches). This is substantiated by ensuring a 50 mm probe has adequate clearance from hazardous parts and doesn’t fully penetrate the item. IP2X: This rating indicates that any hazardous parts cannot be accessed by a finger or solid objects greater than 12.5 mm (about half an inch). This is tested using a “jointed finger” that is 12 mm to 80 mm long. IP3X: This rating is given for items in which hazardous parts cannot be accessed using a tool, such as a screwdriver, or by solid foreign objects greater than 2.5 mm (about one-tenth of an inch). This is verified using a 2.5 mm access probe, which cannot penetrate the item. IP4X: This rating applies to items in which hazardous parts cannot be accessed even with a wire, or foreign objects greater than 1.0 mm. This is tested using a 1.0 mm access probe and by inspection to ensure any dust that enters would not interfere with the part’s functionality. IP5X: This rating applies to items in which hazardous parts cannot be accessed even with a wire, and protection against ingress from dust is also applicable. This is tested using a 1.0 mm access probe and by inspection to ensure any dust that enters would not interfere with the part’s functionality. IP6X: This rating is much like IP5X with the exception that the item is completely sealed off from dust. There can be no ingress of dust at all. IPX0: This rating indicates the item is not protected at all against ingress by liquids. IPX1: This rating illustrates the item is protected against vertically-falling liquid drops, meaning any that fall on the item will have no harmful effect. IPX2: This rating extends IPX1 by ensuring protection against falling liquid drops at an angle up to 15 degrees. IPX3: This rating is given when an item is safe from ingress from spraying liquid. This is tested by spraying water at an angle up to 60 degrees of vertical and establishing that no harm came from this. The spray can come in an oscillating pattern with a flow rate that depends on the item tested. IPX4: This rating extends IPX3 to include protection against ingress from splashing liquids. It is tested by establishing that splashed water has no harmful effect on the item. IPX5: This rating applies to items that are protected against ingress from jets of liquid. It is given after testing with water jets, and it shows there were no harmful effects. IPX6: This rating is given for items that can provide protection against ingress from powerful jets of liquid. It’s an extended version of IPX5. The water pressure in this test can reach 14.5 pounds per square inch (PSI). IPX7: This rating goes further and indicates protection from temporary immersion in liquids. The rating is given after immersing an item in 1 meter of water for 30 minutes with no harmful effects. IPX8: This rating extends the IPX7 rating for water immersion to a greater depth and longer periods of time. The conditions of the water immersion are agreed upon between the manufacturer and the testing facility. The specifications have to be marked plainly on the product. These ratings are established in an ANSI test standard called IEC 60529. Some rating systems extend the second number to a possible 9, which indicates protection from steam-jet cleaning. Testing is verified in each case by a testing engineer, whose job it is to inspect the tested item immediately after the test is completed to determine the result. It’s very important that the test engineer be well-trained and knowledgeable in conducting the test and reporting the results. What Are Issues With Ingress Protection Testing? There are several issues that arise with ingress protection testing. One is that ingress protection testing requires a rigorous facility and thorough performance. Another issue is that the manufacturer must have a good understanding of the level of ingress protection that’s required for their product. For example, an electrical socket might need a rating of IP22, indicating that the socket cannot be penetrated by a finger, and falling liquid can’t get into the socket at an angle up to 15 degrees. In contrast, an electric motor in a refrigerator might require ratings varying from IP42 to IP66. Typically, the higher the rating, the higher the cost in design and manufacturing. So it pays for a manufacturer to think about the ingress protection that’s really necessary for the product. Any additional protection may provide only additional marketing potential. For example, Samsung’s Galaxy S5 mobile phone has a rating of IP67. It is completely impervious to dust and dirt, and it can survive being submerged for 30 minutes in up to 1 meter of water. It’s challenging to think of an application for a phone that requires being submerged in 1 meter of water for this long, but it provides a marketing angle for the product. However, just because an item passes a certain level of testing doesn’t mean it will assuredly pass all levels of a lower value. For instance, a product might survive immersion in water, but it won’t survive having a water jet shot at it for multiple minutes. When it doubt, inquire further about the testing a particular product has received. One other issue to consider is that different standards for ingress protection, such as ANSI/UL standards are not necessarily equivalent to IP standards. The testing protocols differ, and so satisfaction with one standard does not necessarily imply satisfaction with all other standards. At National Technical Systems (NTS), we provide guidance, quotes and superior ingress protection testing, among many other aspects of engineering services. We serve aerospace, defense, nuclear, telecommunications, energy and many other markets. 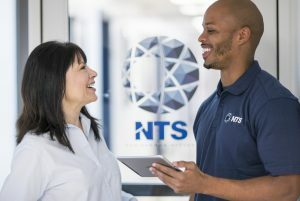 Whatever your needs for ingress protection testing are, you can count on NTS for help. For a quote or more information to help you determine the ingress protection level testing you need, contact us today.